Two years ago, Japan experienced one of the most memorable events in the history of tragic incidents. Massive cries from people were heard, lives were lost and shattered, families were broken down and separated, and houses were swept. This was known as the great east Japan earthquake. 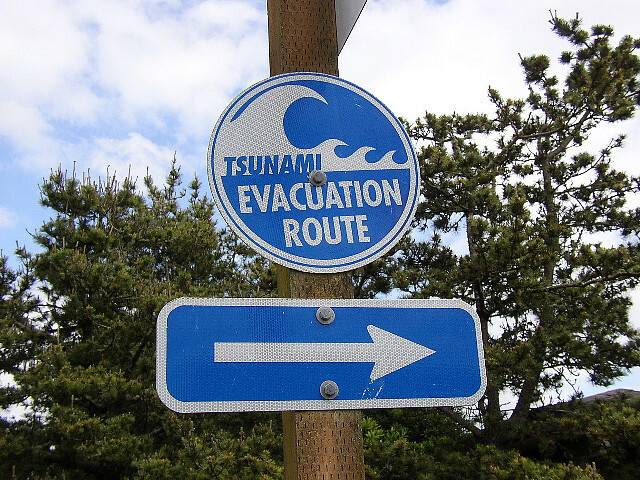 Even though it was in Japan where the earthquake and tsunami struck, neighboring countries became affected due to the strength that this disaster brought. Russia and Papua New Guinea evacuated thousands of residents, the Philippines experienced very high waves causing flood an damage to coastal areas, houses along Indonesia were destroyed, icebergs in Antarctica were broken down, odd as it may seem, a motorcycle and soccer ball were found in Canada and Alaska respectively, and lastly, most of California and all of Oregon experienced the same disaster which brought severe damages to the docks. Do you know where to go in case of emergency? This experience left a mark in the hearts and minds of all people and served as a reminder to always be prepared and to expect the unexpected. One of the reminders of this tragic incident is the washing up of a tidal wave debris which is a derelict Japanese vessel alleged to be Japanese on Gleneden Beach in February, as well as the arrival of a 70 foot dock on Agate Beach in Newport last June. That is why a Tsunami roadshow will be held in Oregon in the month of March to teach people survival skills such as preparations for disaster and emergency skills. According to officials, what happened in Japan is threatening to happen in Oregon since it is located on the earthquake fault Cascadia Subduction Zone. This preparedness presentation will be very beneficial for the people of this coast when disaster comes. Even though we cannot change the course and disaster that Mother Nature will bring, we can still prevent the degree of damage it may cause by having the survival skill and the preparedness through physical aspects and have the right attitude towards it. Who knows, when this disaster comes, we will write our survival story at the end. As they say, there is always a rainbow after every rain. Broadway Middle School Library,1120 Broadway St. Seaside, Ore., from 7:00-8:30 p.m.
Astoria Library, 450 10Th St., Astoria, Ore., from 5:30-7:00 p.m.
Neah-Kah-Nie High School, 504 N. Third Ave., Rockaway Beach, Ore., from 6:30-8:00 p.m.
Driftwood Public Library, 801 U.S. 101 Lincoln City, Ore., from 4:00-5:30 p.m.
Siuslaw Public Library, 1460 Ninth Street, Florence, Ore., from 6:00-7:30 p.m.
Hales Center Auditorium, 1988 Newmark Ave., Coos Bay, Ore., 7:00-8:30 p.m.
Brookings Elks Lodge, 800 Elk Dr., Brookings, Ore., 2:00-4:00 p.m.